In case you missed the first or second HEARTraining® retreat you can catch up by video and join your cohort for the live training. Call Tashia at (760) 634-3691 for detailed information. 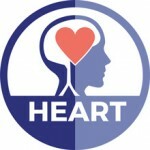 HEARTraining is an Intermediate Level training program. If you are a psychologist, psychiatrist, marriage & family therapist, social worker, professional counselor, nurse, bodyworker, energy healer, art therapist, movement therapist, coach, trainer or educator, clergy, mindfulness coach, spiritual teacher, or an individual seeking personal growth through professional development, this training may be of great benefit to you, both personally and professionally. 32.5 CE credits are pending for completion of HEARTraining Retreat 1 by video. This includes completion of all training videos included in the course, conducting the exercises that are part of the course, and completing the test questions at the end of the course with a 75% score or higher. All CE credits are subject to change without prior notice. Psychologists: Commonwealth Educational Seminars (CES) is approved by the American Psychological Association to sponsor continuing education for psychologists. Commonwealth Educational Seminars maintains responsibility for these programs and their content. Psychologists completing this program will receive the above-listed CE hours of credit. Marriage and Family Therapists: Commonwealth Educational Seminars (CES) awards CEs for Licensed Marriage & Family Therapists in the following states: AL, AK, AZ, AR, CA, CO, CT, DC, DE, FL, GA, HI, ID, IL, IN, IA, KS, LA, ME, MD, MA, MI, MS, MO, NE, NH, NJ, NM, NC, ND, OK, OR, PA, RI, SC, SD, TN, TX, UT, VT, VA, WA, WI, WY. Please note that it is the responsibility of the licensee to check with their individual state board to verify CE requirements for their state. CES maintains responsibility for these programs. In addition, CES is an approved CE provider for Florida Marriage & Family Therapists (CE Provider # 50-9633) and an approved Continuing Education Provider for Texas Marriage & Family Therapists (Provider Number 558). Marriage and Family Therapists completing this program will receive the above-listed CE hours of credit. Professional Counselors: Commonwealth Educational Seminars (CES) awards CEs for the above listed professions in the following states: AK, AZ, AR, CA, CO, CT, DC, DE, FL, GA, HI, ID, IL, IN, IA, KS, LA, ME, MD, MA, MI, MN, MO, NE, NH, NJ, NM, NC, ND, OK, OR, PA, RI, SC, SD, TN, TX, UT, VT, VA, WA, WI, WY. Social Workers: Commonwealth Educational Seminars (CES) awards Social Work CEs in the following states: AL, AK, AZ, AR, CA, CO, CT, DE, FL, GA, ID, IL, IN, IA, KS, KY, LA, MA, ME, MD, MI, MN, MS, MO, MT, NE, NH, NM, NY, NC, ND, OR, PA, RI, SC, SD, TN, TX, UT, VT, VA, WA, WV, WI, WY. Please note that it is the responsibility of the licensee to check with their individual state board to verify CE requirements for their state. Social Workers completing this program will receive the above listed continuing education hours of credit. Social Workers in New York State: Commonwealth Educational Seminars (CES) is recognized by the New York State Education Department’s State Board for Social Work as an approved provider of continuing education for licensed social workers #SW-0444. All Social Workers attending programs that have been awarded Social Work Continuing Education from CES will receive a Certificate upon completion. Social Workers completing this program will receive the above listed continuing education hours of credit. CES is approved by the American Psychological Association (APA). CES programs meet the rules and regulations per-state, of requirements for continuing education offerings. Many states accept CEs for Social Workers/Licensed Professional Counselors/Licensed Marriage & Family Therapists because of approved provider status in any state. Nurses: As an APA approved provider, CES programs are accepted by the American Nurses Credentialing Center (ANCC). These courses can be utilized by nurses to renew their certification and will be accepted by the ANCC. Every state Board of Nursing accepts ANCC approved programs except California and Iowa, however CES is also an approved Continuing Education provider by the California Board of Registered Nursing (Provider # CEP15567) which is also accepted by the Iowa Board of Nursing. Nurses completing this program will receive the above listed continuing education hours of credit. Watch all training videos that are part of the course. Complete the exercises that are part of the course. Complete the test with a score of 75% or higher. When you have completed the course, submit the required training evaluation. All students will receive an invitation with a link. After completing your evaluation you will be guided to the CES page where you will be able start your test. You must pass with a score of 75% or higher. Upon successful completion of the test you will be prompted to download and print your Certificate of Attendance.